Congratulations! Now I can compile my programs at ubuntu! THANKS A LOT! In the latest version of gdb-msp430 (gdb-msp430_7.2~mspgcc-7.2-20110612-1ubuntu1_i386.deb) the files to be overriden are no longer identical. This solution could have nasty side effects. I was able to get this to work in Linux Mint. However, I’m not able to use Interrupts. I get an error message regarding the use of “__interrupt”. If you copy and paste “–force-overwrite” from the mail solution code at the top it reformats the quotes and double dashes to some funky font that a terminal parses as nonsense even though a human sees almost ordinary looking quotes and dashes. Just type those in and you’ll be fine…. at least until ubuntu installs some updates and the overwritten files begin to conflict. This works great on 12.10 too. I didn’t have any package manager errors. Ubuntu should have default udev rules to allow mspdebug as user. I didn’t run it with sudo and it was fine. Avoid root, it’s better. Also working on ways to avoid running raspberry pi python gpio commands without root as well. Thanks! This works great on Linux Mint Debian Edition LMDE as of the image downloaded May 2013. I am finding that LMDE more bug free than Ubuntu and I love the Mate interface (Gnome 2). Some of my favourite software that will not run on Ubuntu will now run again. 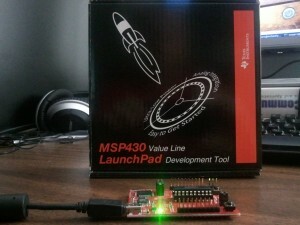 On LMDE I just used synaptic to look for MSP430 and then installed all such packages. It worked. Thanks. Exactly what I needed to get the MSp430 code compiling. I am right now going over this MSP430 Tutorial and it helped a lot. I wish it were easier. Did you substitute msp430f5438a for msp430g2553 everywhere? I ma Working on MSP430FR6989. But It Seems here there is not support for that. Can you tell me how to update support for that.